One of the most popular beaches in Goa, Baga beach s a party-lover's paradise. Lively, vibrant nightlife, shacks serving all kinds of foods to serve every palate and an energy you'll find nowhere else – that's Baga for you. It is usually very crowded and touristy, especially during peak season. 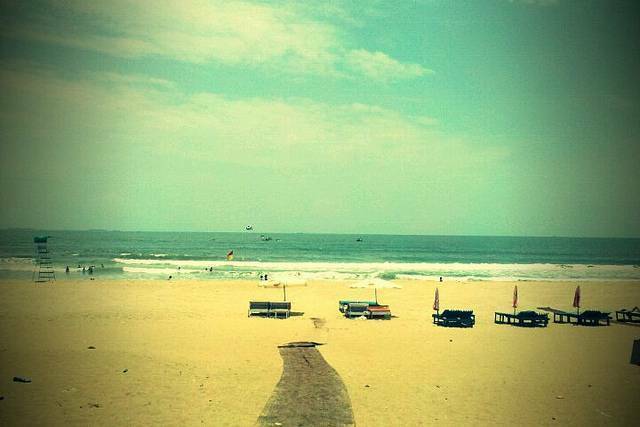 Baga is about 50 km from Dabolim airport and is bordered by Calangute beach to the south and Anjuna to the north. Activities include dolphin spotting cruises, watersports, night bazars, and wednesday flea market at nearby Anjuna beach.